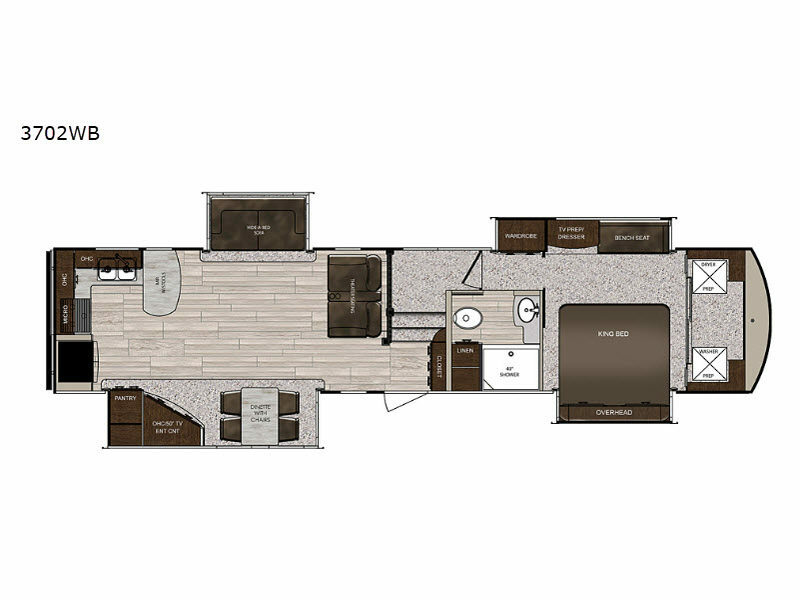 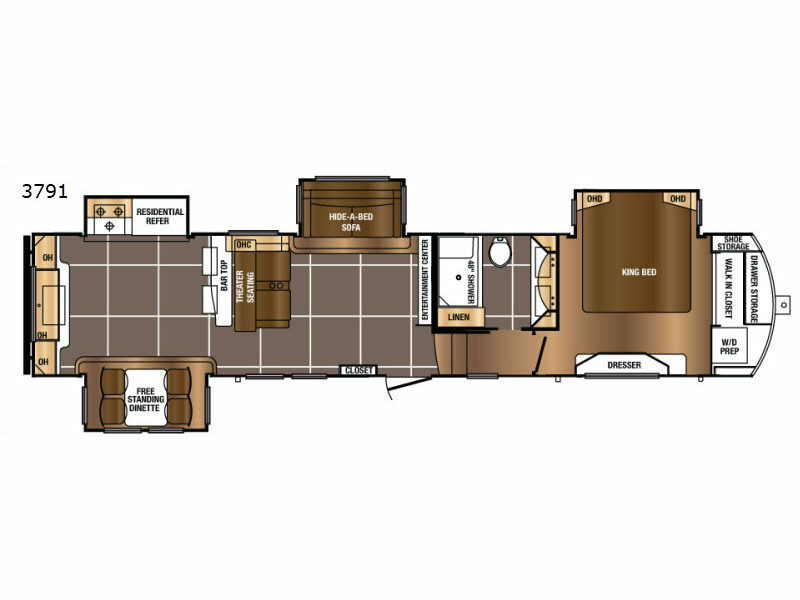 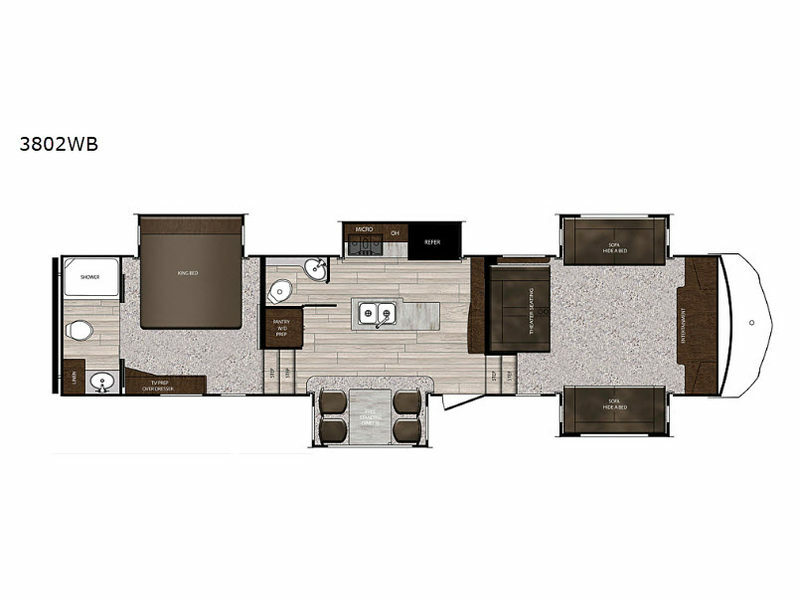 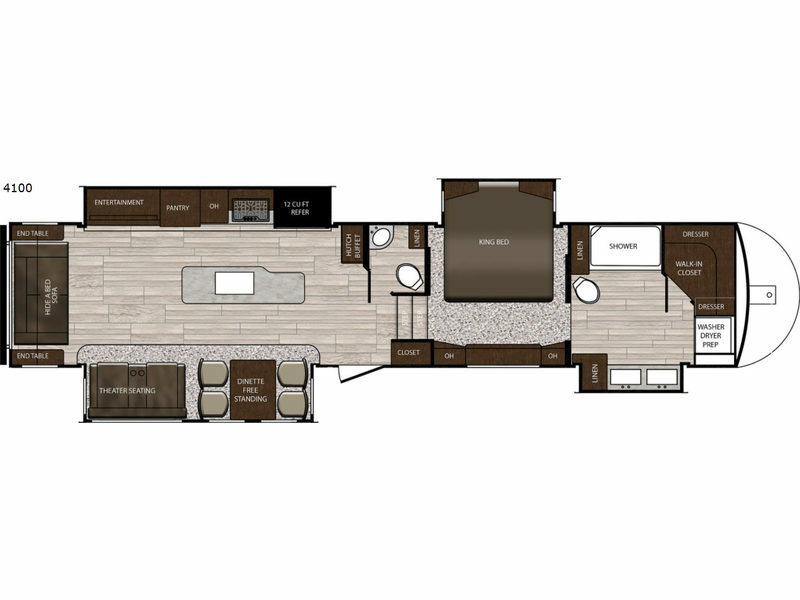 The Sanibel fifth wheels by Prime Time RV are luxurious and stylish making them an intelligent choice! 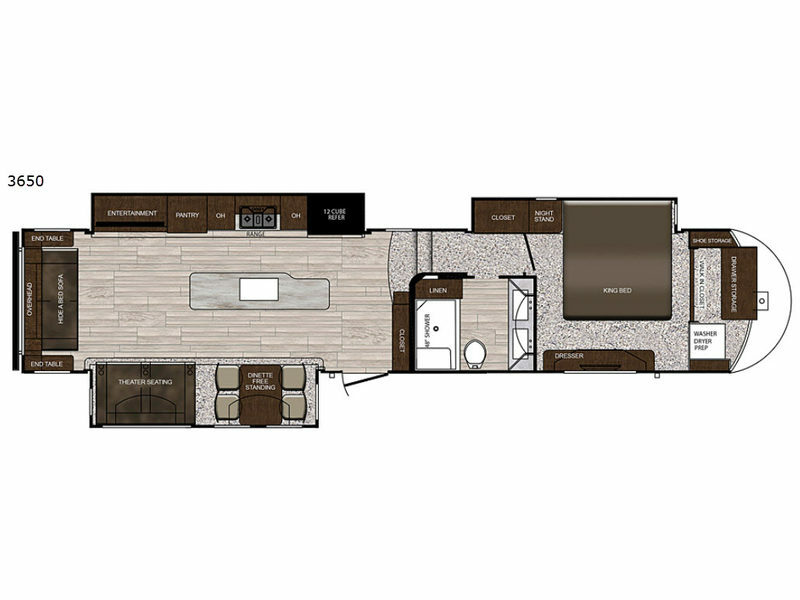 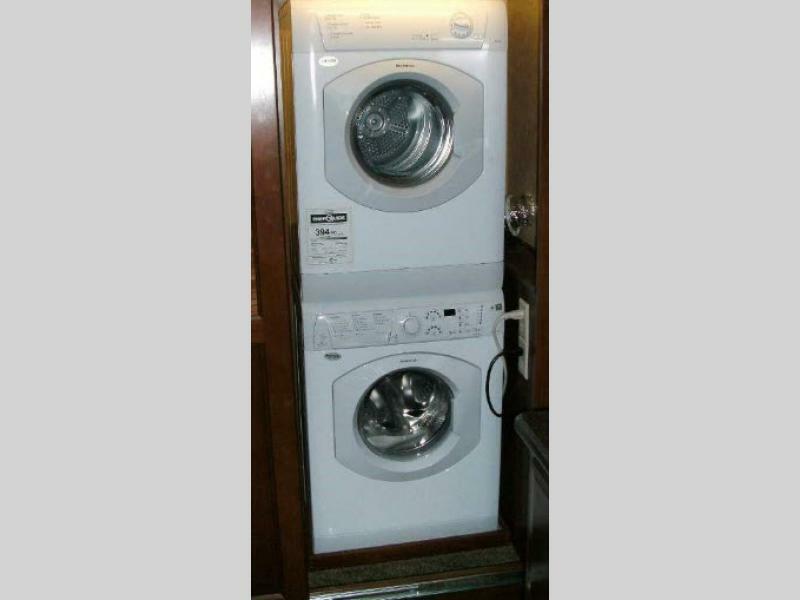 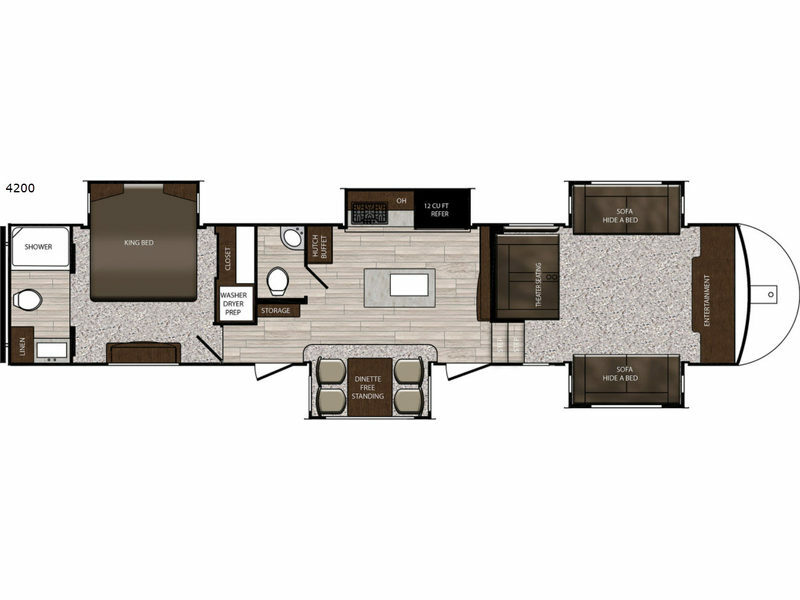 They offer the conveniences of the luxury RVs all within a fifth wheel that has well-designed interiors and all of the comforts of home, plus an impressive exterior. 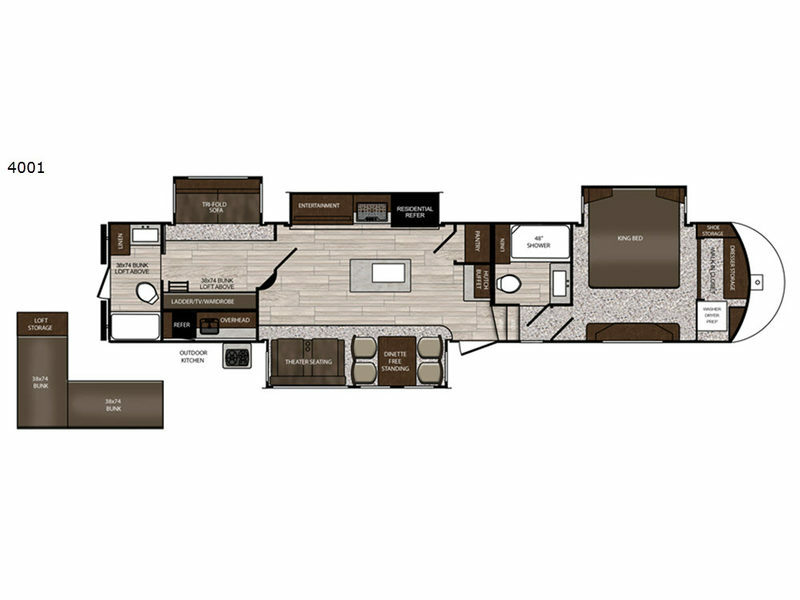 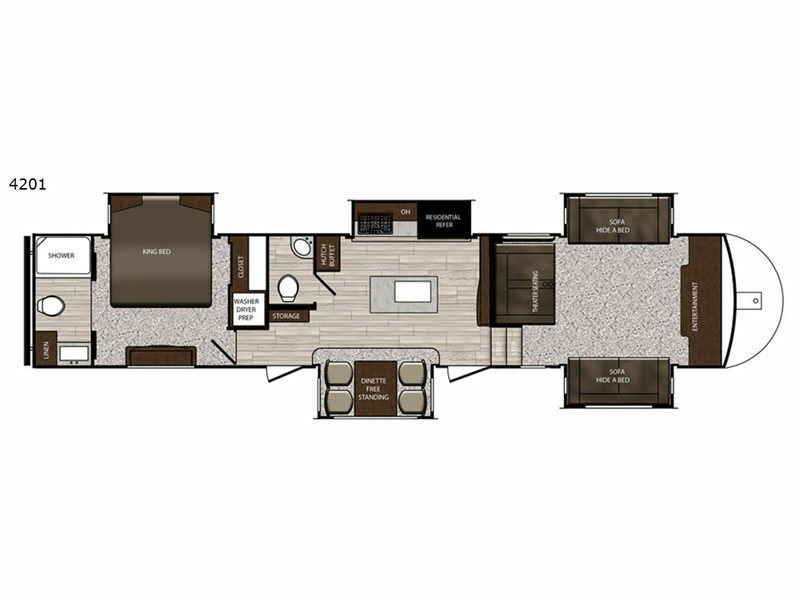 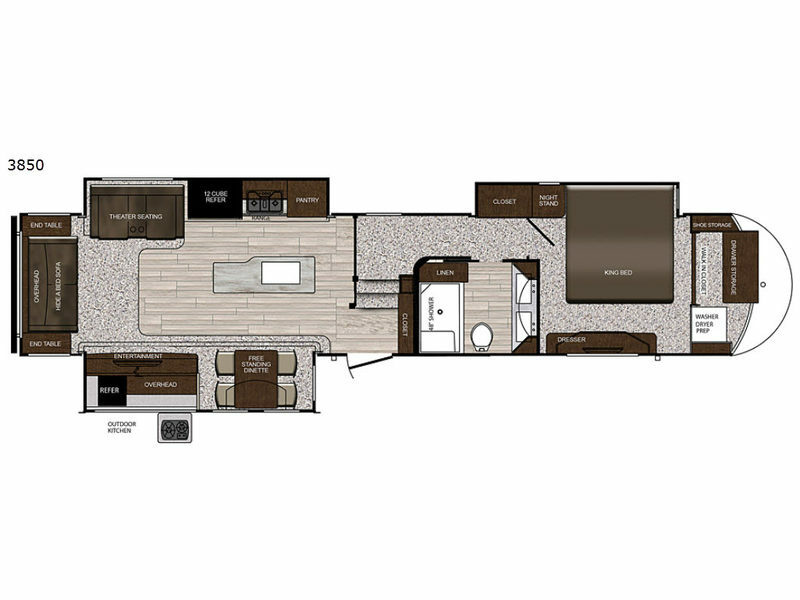 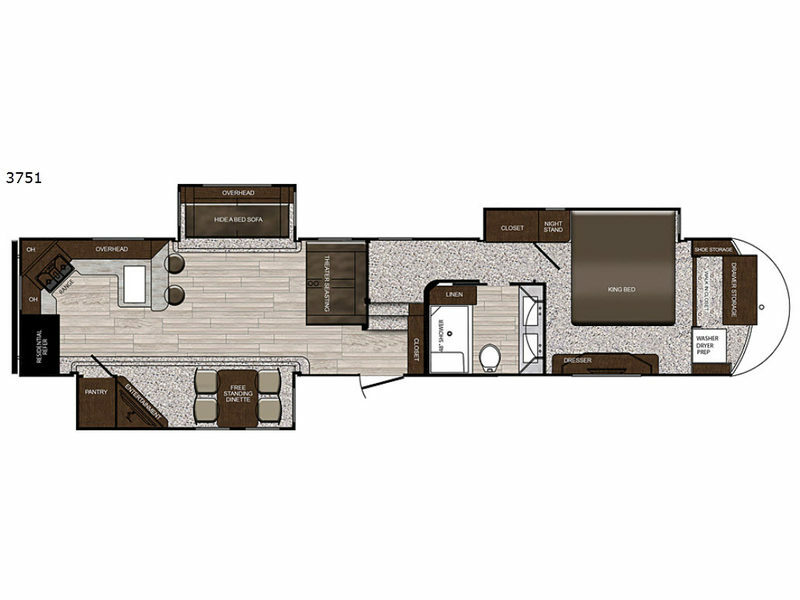 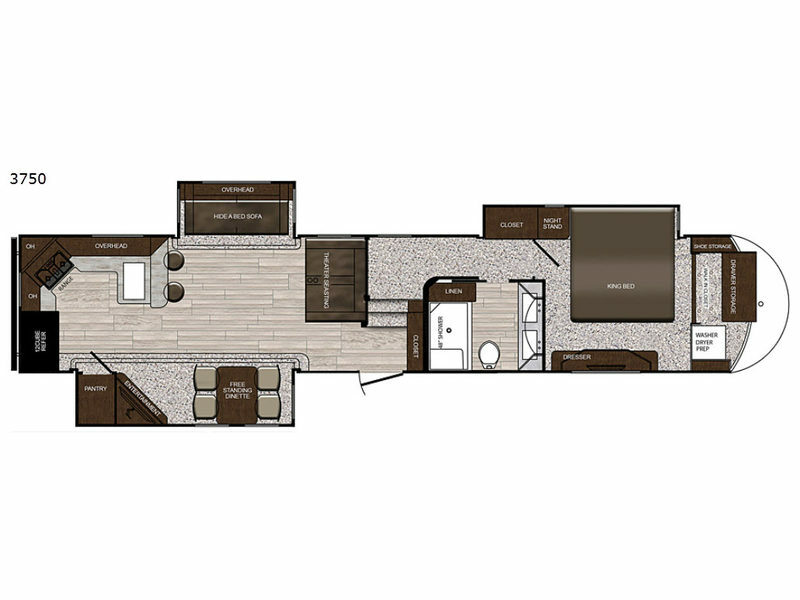 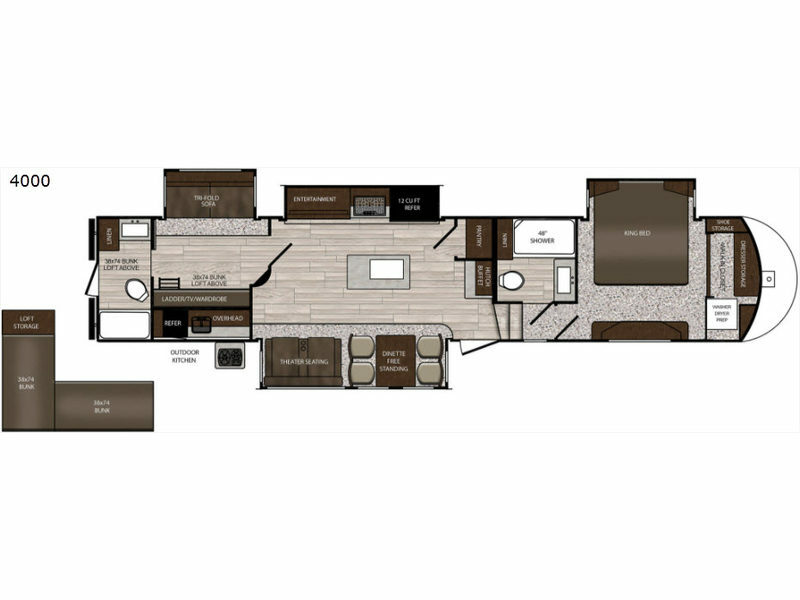 From its intelligent construction to its intelligent interior furnishings, the Sanibel will stun you with its clever and sensible accommodations all throughout. 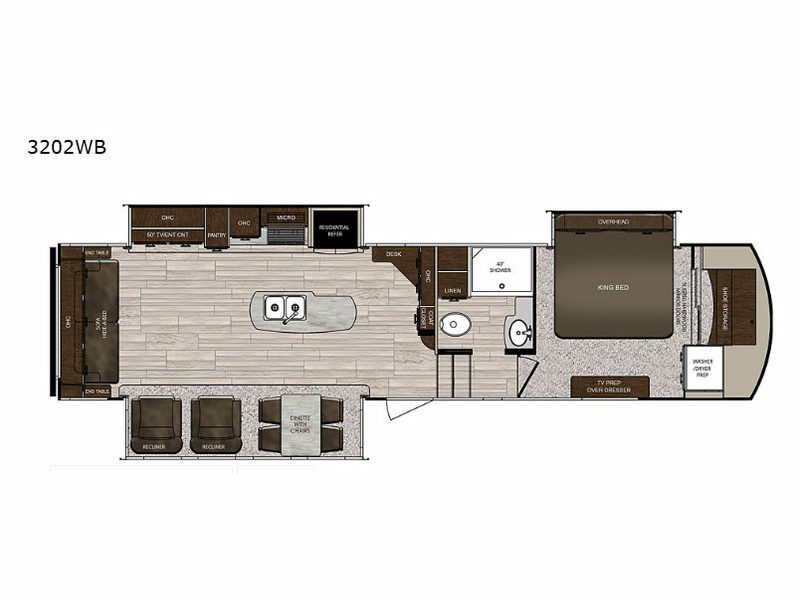 Whether you're taking advantage of the king-size shower with a deluxe "Skyview" skylight, or you're watching TV on the lush king-size I-rest mattress in the masterfully executed private bedroom, you will be amazed with everything you do. It's time to enjoy the Prime Time Manufacturing Sanibel - a luxurious fifth wheel that is built with a level of intelligence that far exceeds the status quo!